Want to lock your downloaded videos with a password? 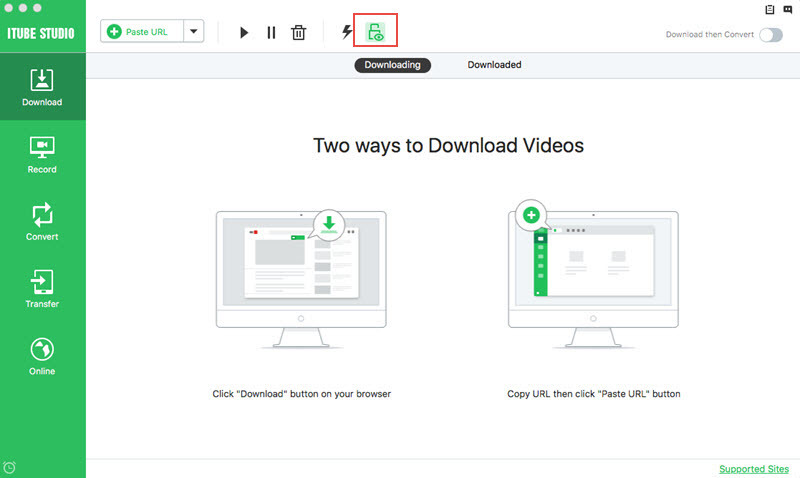 iTube Studio Video Downloader for Mac can help you achieve the private downloading with Private Mode! Locate to the lock icon in the top bar of iTube Studio for Mac interface, click the icon and set a password for your Private Mode. You can also opt for setting like "Do not show thumbnails of private videos", "save private videos as hidden". To turn off the Private Mode, click the lock icon again and input your password to unlock the Private List. Notes: iTube Studio for Mac can analyze the URL of the videos, thus add almost all the private videos to Private List automatically. Switch to the Downloaded tab and you will see a Private List for all the downloaded private videos, click and type in password to unlock the folder. Then click the thumbnail in the display bar to play the video, or add the private videos to Transfer List or Conversion List by the corresponding icon beside. Tips: In order to fully protect your download information, you will not find the downloaded videos of Private List in your local folder with the Private Mode turned on. If you want to view the downloaded private videos in your local folder, just turn off the Private Mode.